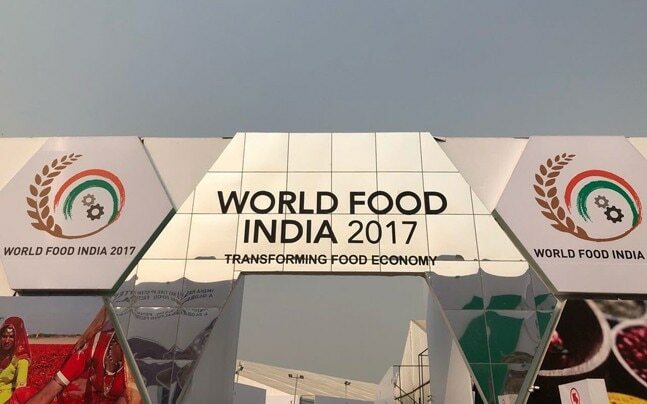 New Delhi, Nov 6: The three-day mega food fair ended on Sunday with investment commitment of worth $19 billion including $11.25 billion from private sector in 50 MoUs signed while many participants said it would help bringing focus on India's food processing sector. During the World Food India conference, delegates from across the states and over 60 countries held meetings over opportunities and expansion of food processing sector, which many of them called productive, an official statement said. Food Processing Industries Minister Harsimrat Kaur Badal said the investment included commitment worth $11.25 billion by the private sector, $2.5 billion by states and initiatives undertaken by the Central government, it said. She said the conference witnessed participation of 10,000 participants and over 8,000 business to business (B2B) and business to government (B2G) meetings were held. Many states had their stalls at the conference, where they showcased their products, schemes and projects they have undertaken in order to attract investment. The Andhra Pradesh government, which had also participated in the exhibition, said the conference would help the state in building strong infrastructure for food processing industries. Y.S. Prasad, CEO of the state Industry Departments' Food Processing Society, said the government had planned 12 food parks in addition to the Central government's plan of 42 such parks across the country. "We have signed a MoU with Japan during the conference. Also, Sri Lanka has shown interest in investing in our state," Prasad told IANS. International government agencies and companies that were also attended the conference said it helped them showcase their products, services and plans in better way. Kuldeep Bera of Assam Dairy Cooperative Society said the conference was going to help them convincing farmers benefits of food processing. A Japanese official said the country wanted to promote healthy Japanese processed food as well as raw food products in India. "We have got good response from as many visitors had shown interest in what we have presented," said the official. An official from Council of Danish Industry said companies had showcased their expertise in building infrastructure for food processing sector including cold chain.